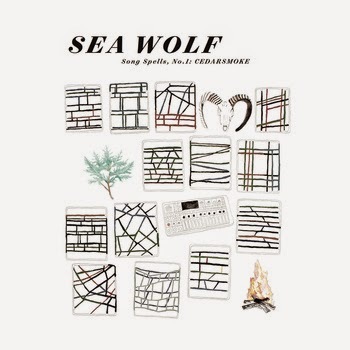 With Sea Wolf, Church has made three excellent albums - Leaves In The River; White Water, White Bloom and Old World Romance – each displaying his dexterity as a songwriter and the band’s ability to flesh out his visions with a subtle grace that intensifies their fluid emotional content. The music on Song Spells is powerful and more experimental than their previous studio work. “This is the first of a series of records I’m going to be doing in my spare time, between official studio albums,” Church explains. “The word ‘spell’ can refer to a magical spell or a period of time. I wrote and recorded it in a four-month period to force myself to go with first instincts and let go of the need to get things perfect. It was done for fun, with no commercial expectations from a label, something to share with our fans until we make our next ‘official’ album.” The band will be offering it on their website as a free or pay-what-you-wish download. “We’re giving it away as a thank you to the people that have supported us,” Church says. As promised, the songs on Cedarsmoke are spellbinding. Spinning together layers of acoustic and electric instruments that connect with vaguely familiar ambient sounds, mimicking the wistful feeling of floating between drowsiness and dreams. “Ram’s Head”, led by a warm classical guitar and subtle synth swells, suggests a quiet scene in front of a fireplace on a cold and rainy evening. A wandering cello line drifts through a cloud of swirling white noise on “Cedarsmoke,” an instrumental with a smoky, yearning feel. “Young Bodies” is a song of regret and betrayal, full of raw emotion delivered simply by Church and his acoustic guitar. Grainy electronic textures and a propulsive backbeat drive the fractured reflections of “Bergamot Morning,” while the clash of major and minor keys gives “Whitewoods” a rollicking, feverish tone. The music ebbs and flows as the songs unspool, carefully balanced between feeling tough and sensitive, dark and hopeful.